In the previous version were all clicks and Crackle-glitches audioredaktora. Here it is not. The voices of the birds added forest noises: crickets, etc, in my opinion, more atmospheric and deep now sounds. Duration of 15 minutes. The song of the birds (the sound) is associated with the file, start the engine. 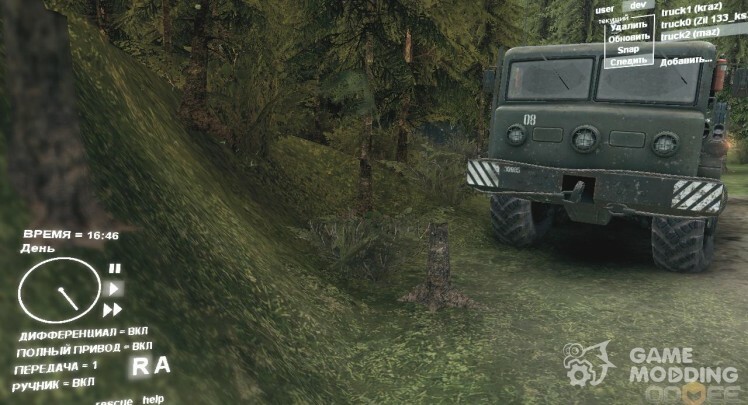 The MOD works with automobiles KrAZ, KAMAZ, MAZ. Select a car and start the engine.